There's never been a better time to buy prime Florida real estate, rare coins or collectibles. Current economic conditions are triggering thousands of motivated sellers to reinvest in more speculative investments. If you like the stability of real estate, rare coins and collectibles this is the time to act. 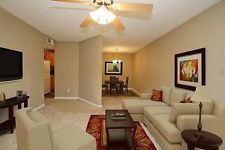 This beautiful 3BR 2BA condo in Orlando, Florida sold at auction for $20,000 on March 19, 2015.